The State Department has made a determination approving a possible Foreign Military Sale to Iraq for aviation sustainment support, on-the-job maintenance training and maintenance advice and associated equipment, parts, training and logistical support for an estimated cost of $500 million. The Defense Security Cooperation Agency delivered the required certification notifying Congress of this possible sale on July 28, 2014. The Government of Iraq has requested a possible sale to establish five years of contractor logistics support for its Bell 407, OH-58, and Huey II aircraft in support of the Iraq Aviation Command. This support will include maintenance support, personnel training and training equipment, publications and technical documentation, site surveys, life support costs, Quality Assurance Teams, U.S. Government and contractor technical, logistics, and engineering support services, and other related elements of logistics support. The estimated cost is $500 million. This proposed sale will contribute to the foreign policy and national security of the United States by helping to improve the security of a strategic partner. This proposed sale directly supports the Government of Iraq and serves the interests of the people of Iraq and the United States. The Government of Iraq needs this logistics support, contractor maintenance, training, and technical services to maintain the operational capabilities of its aircraft. The principal contractor will be Bell Helicopter Textron Inc. of Fort Worth, Texas. There are no known offset agreements proposed in connection with this potential sale. Implementation of this proposed sale will require approximately five U.S. Government (USG) and 25 contractor representatives to travel to or reside in Iraq for a period of five years to establish maintenance support, on-the-job maintenance training and maintenance advice. The United States will bolster military cooperation with Poland and Baltic states to show solidarity with its allies after Russia’s intervention in Ukraine, Pentagon chief Chuck Hagel said Wednesday. The mostly symbolic steps to expand aviation training in Poland and step up the US role in NATO’s air patrols over Baltic countries were clearly designed to reassure alliance partners in Central and Eastern Europe following alarm at Russia’s actions in the Crimean peninsula. “This morning the Defense Department is pursuing measures to support our allies,” including increased training in Poland and more US aircraft for NATO’s air policing mission over Baltic states, Hagel told lawmakers. NATO’s top commander and head of the US European Command, General Philip Breedlove, also planned to confer with Central and Eastern European defense chiefs, Hagel said. The United States has a small team of about 10 airmen stationed in Poland to support military training efforts while NATO has been conducting air patrols over the skies of Estonia, Latvia and Lithuania for 10 years. The responsibility for the air patrols rotates every four months and the United States recently took over from Belgium in January. There are four US F-15 fighter jets currently flying the air patrols and the Pentagon will send six additional F-15s and one KC-135 aerial refueling tanker to the mission, said a defense official, who spoke on condition of anonymity. Officials had earlier incorrectly stated that F-16s were carrying out the “air policing” operation. In Poland, US aviation training involves F-16 fighters and C-130 transport planes and the official said more aircraft may be added to the effort. The United States already has suspended all military cooperation with Russia in protest over events in Ukraine, calling off planned exercises, training and exchanges. Hagel dismissed Russia’s assertion that it had not sent troops into Crimea and that forces surrounding air bases and other sites were local “self-defense” militias. “It’s pretty clear that they’re Russian troops,” he said. Dempsey, chairman of the US Joint Chiefs of Staff, said he had raised the issue with his counterparts, who told him the forces were “well-trained” militia. “I did suggest that a soldier looks like a soldier, looks like a soldier, and that that distinction had been lost on the international community,” he said. The general said he had also spoken this week to military chiefs in the Baltics and in Central and Eastern Europe. “Understandably, they are concerned. They seek our assurance for their security,” he said. “During our conversations we committed to developing options to provide those assurances and to deter further Russian aggression,” the four-star general said. NATO held rare emergency meetings this week after Poland requested “article 4″ consultations in light of the crisis in Ukraine, where pro-Russian forces have taken de facto control over the Crimean peninsula. Under article 4 of the alliance treaty, any NATO member can request consultations when they believe their territorial integrity, political independence or security are threatened. The long-established cooperation of PT Dirgantara Indonesia and Airbus Helicopters will be expanded to include support and services for the users of Airbus Helicopters rotorcraft based on a memorandum of understanding (MoU) signed today at the Singapore Airshow. This MoU covers maintenance, repair and overhaul for the various Airbus Helicopters products operated within Indonesia – in particular, the AS365 Dauphin, EC725 Cougar and AS350/AS555 Fennec rotorcraft acquired by the country’s government. The agreement was signed by Budi Santoso, President Director of PT Dirgantara Indonesia, and Airbus Helicopters President Guillaume Faury. “PT Dirgantara Indonesia’s cooperation with Airbus Helicopters results from a long term relationship built on trust, and each company will support the other with this new strategic collaboration for the mutual benefit of both parties,” Budi Santoso said. The two companies’ partnership began in the 1970s with PT Dirgantara Indonesia’s licensed production of the N-BO105 helicopter – of which 120 were built in-country. It subsequently was widened with licensed production of the N-SA330 Puma and N-AS332 Super Puma rotorcraft. Additionally, the Indonesian company has been supplying upper and lower fuselage sections and tail booms for the EC725/EC225 since 2012 for a total production currently set at 125 shipsets. 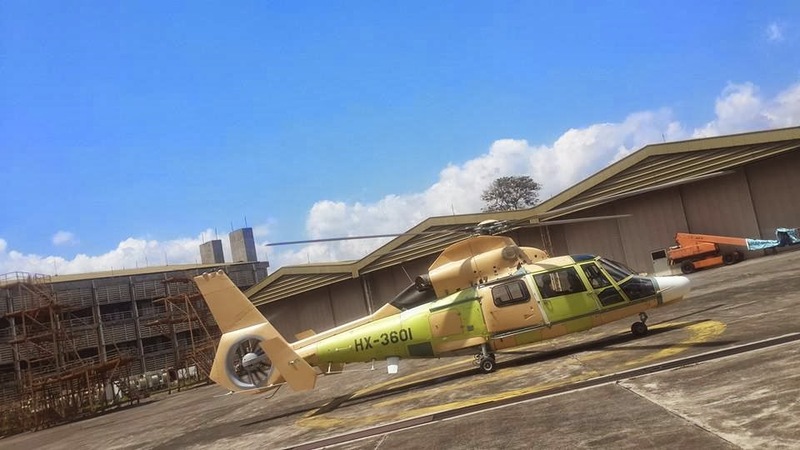 It also serves as the customization and delivery center for AS365 N3+ Dauphin, EC725 Cougar and AS350/AS555 Fennec helicopters ordered by the Indonesian government through PT Dirgantara Indonesia. The Defense Security Cooperation Agency notified Congress January 13 of a possible Foreign Military Sale to Israel for V-22B Block C Aircraft and associated equipment, parts, training and logistical support for an estimated cost of $1.13 billion. The Government of Israel (GOI) has requested a possible sale of 6 V-22B Block C Aircraft, 16 Rolls Royce AE1107C Engines, 6 AN/APR-39 Radar Warning Receiver Systems, 6 AN/ALE-47 Countermeasure Dispenser Systems, 6 AN/AAR-47 Missile Warning Systems, 6 AN/APX-123 Identification Friend or Foe Systems, 6 AN/ARN-153 Tactical Airborne Navigation Systems, 6 AN/ARN-147 Very High Frequency (VHF) Omni-directional Range (VOR) Instrument Landing System (ILS) Beacon Navigation Systems, 6 Multi-Band Radios, 6 AN/APN-194 Radar Altimeters, 6 AN/ASN-163 Miniature Airborne Global Positioning System (GPS) Receivers (MAGR), 36 AN/AVS-9 Night Vision Goggles, Joint Mission Planning System, support and test equipment, software, repair and return, aircraft ferry services, tanker support, spare and repair parts, publications and technical documentation, personnel training and training equipment, U.S. Government and contractor engineering and technical support, and other elements of technical and program support. The estimated cost is $1.13 billion. The United States is committed to the security of Israel, and it is vital to U.S. national interests to assist Israel to develop and maintain a strong and ready self-defense capability. This proposed sale is consistent with those objectives. The proposed sale of V-22B aircraft will enhance and increase the Israel Defense Forces’ search and rescue and special operations capabilities. The V-22B provides the capability to move personnel and equipment to areas not accessible by fixed wing lift assets. The GOI will have no difficulty absorbing this technology into its current aircraft inventory. The proposed sale of these aircraft will not alter the basic military balance in the region. The principal contractors involved with this proposed sale will be Bell and Boeing in California, MD via a joint venture arrangement with final aircraft assembly occurring in Amarillo, TX. There are no known offset agreements in connection with this potential sale. Implementation of this proposed sale will require travel of up to thirty (30) U.S. Government or contractor representatives to Israel on a temporary basis for program technical support and management oversight. Before the sun rises, the sound of an F-16 Fighting Falcon can be heard taking off, breaking the dull silence of the morning as they participate in a two week close-air support training exercise with various squadrons and units. Known as CAS, the training uses military aircraft in an attack against enemy ground forces that are in close proximity to friendly forces. This requires detailed coordination with ground troops and is typically conducted by joint terminal attack controllers. The use of CAS during wartime can be a critical strategic military tactic that has serious impacts on the outcome of ground warfare. All pilots assigned to the 31st Fighter Wing are participating in this training exercise with each pilot expected to fly approximately four hours a day. During the exercise, pilots fly as low as 1,000 feet and communicate with JTACS on the ground who are calling in simulated air strikes. This training includes coordination with various units such as the 31st Security Forces Squadron, 31st Maintenance Squadron and the 31st Aircraft Maintenance Squadron. The training not only included Aviano Airmen, but Army paratroopers from the 1st Battalion, 503rd Infantry Regiment and the 173rd Airborne Brigade Combat Team, as well as Airmen stationed at Ramstein Air Base, Germany. The training included jumping from a C-130 Hercules, clearing airport areas, aircraft landing, loading service members and departure. Once on the ground, Airmen and Soldiers then participated in an airfield seizure training operation on Rivolta Italian air force base. In order for the exercise to go off without a hitch, Airmen worked around the clock to ensure jets were ready and mission capable. From sunset to sunrise, maintainers were on the flightline armed with flashlights and tools ready to service, refuel and perform routine maintenance on any jet that needed it. According to Flynt, their skills and assistance are an essential part of the exercise because without them, jets would not be able to fly rendering the exercise itself obsolete. In all, maintainers serviced more than 30 jets during the exercise and up to six jets a day. “Marching to the beat of one drum.” The perfect term to describe the performance of U.S. and Republic of Korea Army Soldiers, as these “Band of Brothers” trained to improve our readiness while working in unison. Soldiers assigned to the 1st Battalion, 72nd Army Regiment, and the 501st Chemical, Biological, Radiological, Nuclear, high-yield Explosives, or CBRNE, Company, 23rd Chemical Battalion, both of the 1st Armored Brigade Combat Team, 2nd Infantry Division, collectively aided the Republic of Korea Army’s 2nd Battalion, 100th Infantry Regiment, 17th Division, during a combined training exercise, Nov. 15, 2013, at Rodriguez Live Fire Range Complex, South Korea. To support their Republic of Korea Army brethren, the 1ABCT provided a 15-man CBRNE Response Team from the 501st CBRNE Company, and 31 infantrymen with 1st Battalion, 72nd Armor Regiment, to assist with the clearing of potentially contaminated areas. During this combined training exercise, the Republic of Korea Army’s 2nd Battalion, 100th Regiment, conducted its first battalion air assault mission involving approximately 300 Republic of Korea Army soldiers. Following the air assault, the ROK unit secured and isolated the objective, clearing all of its buildings. “We collaborate with the ROK Army for training at least once a month,” said Staff Sgt. Shaun Guyaden, a CRT member with 501st CBRNE Co., 23rd Chemical Battalion, and a native of Philadelphia, Penn. “It’s beneficial for us to be able to trade tactics and techniques during these training exercises. When we kick down doors we take somewhat of a different approach so we use this opportunity to learn from each other and prepare us to as one,” said Guyaden. Highlighted by the partnership of U.S. and ROK Soldiers, this training also featured the combined efforts of both chemical and infantry units of the 2nd Infantry Division. The 1st Battion, 72nd Armor Regiment platoon’s security role enabled 501st CBRNE’s Response Team to do their job, enhancing the relationship between the two 1ABCT units. Training as one, the coalition of U.S. and Republic of Korea forces exercised their roles and further familiarized with each other’s operational procedures, which is necessary to execute the 2nd Inf., Div.’s mission. Improving our “Fight Tonight” readiness with professionalism, while continuing to strengthen the enduring Alliance, 1 Armored Brigade Combat Team Soldiers train hard during every exercise. Russia’s Uralvagonzavod defense manufacturer on Wednesday unveiled the BMPT-72 tank support fighting vehicle, dubbed the “Terminator-2,” at the Russia Arms Expo 2013 in Nizhny Tagil. The BMPT-72 is an extensive modernization of the world-famous T-72 main battle tank, also produced by Uralvagonzavod. Compared with its predecessor – the BMPT – the BMPT-72 has an improved fire control system and better turret weapon station protection. “The key advantage that the BMPT-72 gives to all the counties that operate T-72 tanks is that they can promptly and at minimal cost upgrade their armies to an ultra-modern level, and enhance capacity, mobility, protection and armament without purchasing new high-cost machines,” Uralvgonzavod said in press release prior to the Nizhny Tagil show. The BMPT-72 is armed with two 30-mm cannons, two 30-mm grenade launchers, four launchers for 130-mm Ataka-T anti-tank guided missiles, a 7.62-mm machine gun, and two 81-mm smoke grenade launchers. Russian Deputy Prime Minister Dmitry Rogozin said Wednesday that the idea to build new heavily armed tank support vehicles emerged on the basis of experience acquired by the Russian military during the First Chechen War in North Caucasus, especially during the urban fighting in Grozny in 1995 when Russian troops lost a large number of combat vehicles to “guerrilla warfare” tactics used by Chechen separatists. Rogozin, who oversees the Russian defense and space industries, said future versions of the BMPT would most likely be based on the platform of Russia’s highly anticipated new main battle tank: the Armata.